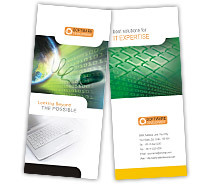 What is Brochure Templates ? Flexi Brochure templates are ready to use Brochure designs, for quickly creating business brochures in different international sizes & folds based on the tex, images and illustrations which you can use for Printing. 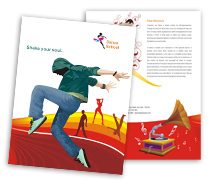 Flexi Brochure templates are designed keeping in mind latest tastes and styles of Corporate Brochures, Flyers and Tri Fold brochures in addition to design essentials like strategic placement of corporate logo, visuals and accommodating corporate identity into the Brochure designs. 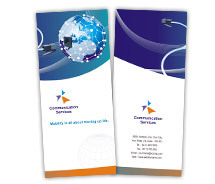 Wide choices of designs like real estate, travel and other business brochures are offered with a view to accommodate and appeal to all type of industries. All brochure Templates are available in Adobe Illustrator templates (.AI), CorelDraw templates (.CDR), Adobe InDesign CS templates (.INDD) & MS Word (.Doc) file format along Hi-resolution CMYK Images. MyChoice is a book marking tool that lets you save Stationery Sets / Logo Templates / Brochure templates according to your own personal list. On your MyChoice page, you can store a variety of templates at one single location on our site for easy access during all future visits. Look for the Add to MyChoice button below each template thumbnail. 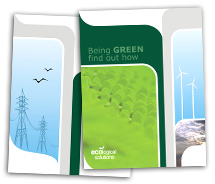 You can access chosen templates by logging on to your MyChoice Page. We reward all our customers. 10% discount by way of points is assured with every purchase. Each point equals US$1. This means that if you buy a Flexi Template worth US$50, you will earn 5 points. Your accumulated points can be redeemed against future purchases. Even for first purchasers, we add loyalty points. It's our way of saying thanks to loyal customers for providing us continuous support.